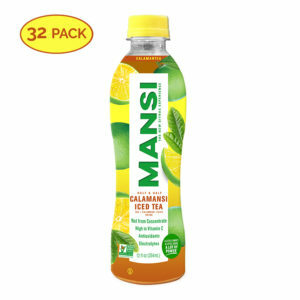 Pour MANSI™ Premium Calamansi Juice into the bread pan. Calamansi Juice should sit about 1-2 inches in depth in the pan. Put the bread pan in freezer. Leave for about an hour until calamansi juice starts to harden. If content is still soft, continue to chill until completely hardened. Fun alternative: Pour the juice into popsicle molds for kids! A delicious, refreshing treat. Also great as a palette cleanser before the main course. Don’t forget to leave some for dessert.